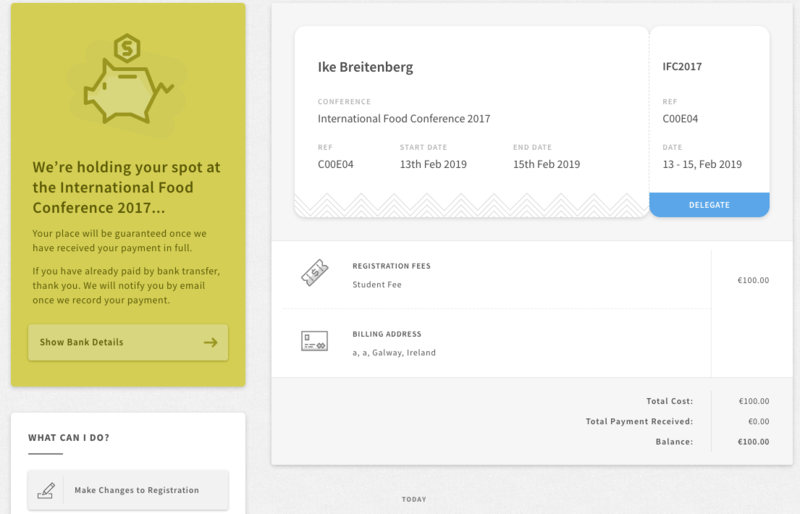 Depending on how the conference organisers have set it up, you can pay for your registration either by a bank transfer or with a debit or credit card. The choice available will be visible on the Checkout step of your registration. Until you have selected a payment method and confirmed, you are not yet registered. To pay for your registration by card, select 'Pay by Card' where you will either pay through a connected Paypal account or Stripe. This depends on your conference. 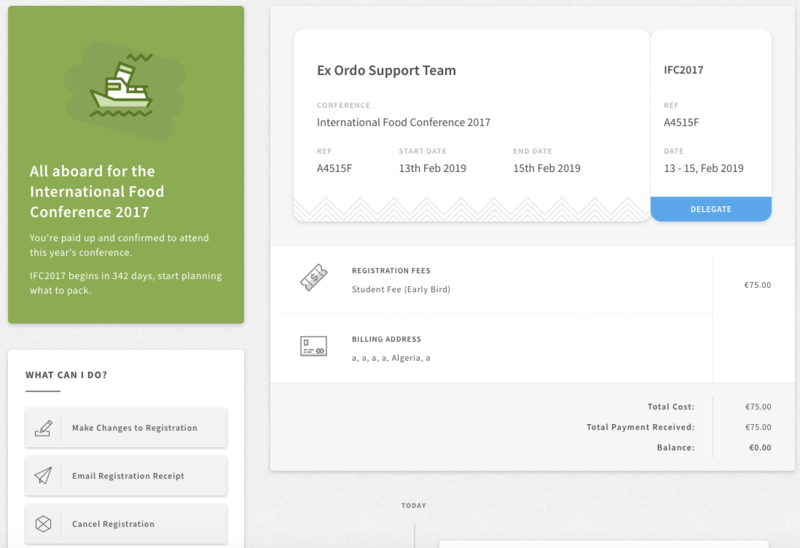 Once you have paid, you'll see that you are all paid up for the conference and can see your registration details in your Registration hub. 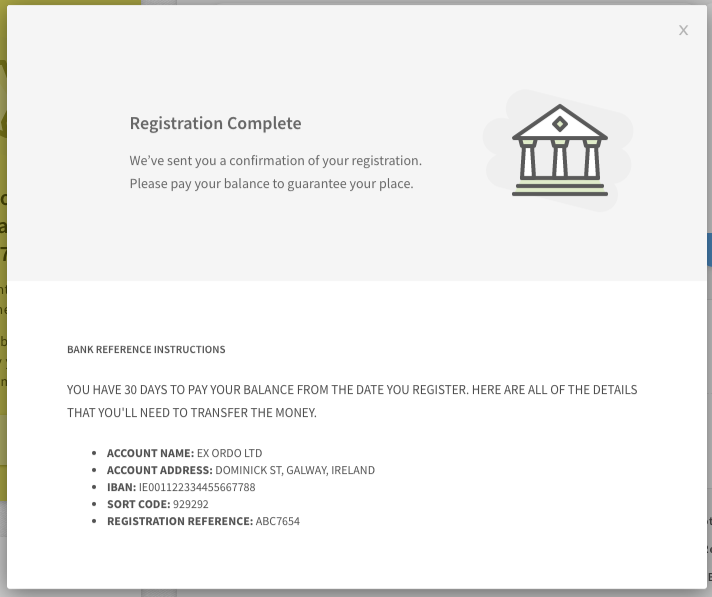 To pay for your registration by bank transfer, select the 'Pay by Bank Transfer' option. Once you do so, you are pledging to pay the registration amount and your registration won't be recognised as paid until the organisers confirm the payment from their end. You'll see the bank details of the conference account pop up for you to use for your transfer. Once you have confirmed you will pay, your Registrations hub will appear as below. Once the payment is confirmed by the conference organisers, you'll receive an email letting you know.